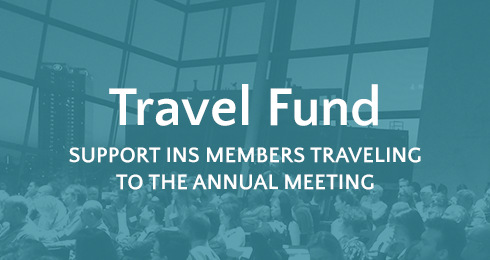 Make a donation to the INS Annual Meeting Travel Fund to help your fellow INS members attend the annual meeting. Funds will be awarded to authors of accepted abstracts to help defer the cost of traveling to the meeting and helping ensure their participation. Stipends will be distributed to authors based on the composition of their abstract, scientific focus of the research, and the distance they will be traveling. Donations of all sizes are encouraged and will be bundled together to provide critical financial support for those needing assistance.